Contact the IRS directly and ask what you should do. Find your local IRS office and make that call. 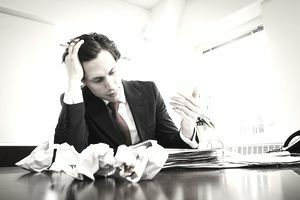 The IRS may have a specific procedure they want you to use to make the correction — for missed payroll tax deposits, for example. Be sure you get the name of the person you are speaking to and the day and time of your call, in case you have to verify the phone call. Contact your tax preparer, especially if the error relates to a filing which your adviser provided assistance on. Let your adviser help you determine what to do. Sure, it will cost you some money, but having someone help you may mean lower fines or penalties. Correct the error as soon as you find it. Waiting will only increase fines and penalties. Be certain that you can prove that you made the payment or sent in the form by getting a certification from the post office. Remember, if the IRS says they didn't get it, you must have some way to prove you sent the documents or payments. Filing an amended tax return is often the best way to correct an error. There is a different way to amend business tax returns, based on business type. The IRS may ... waive penalties if you inadvertently fail to deposit in the first quarter that you were required to deposit any employment tax, or in the first quarter during which your frequency of deposits changed, if you timely filed your employment tax return. Waiting or trying to ignore mistakes is never a good idea. If you find you made a mistake or you failed to make a tax payment, get busy and fix the problem. The longer you wait, the worse the consequences.